The Sun is now in Aries, ruler of the brain. While it’s good to encourage your children’s intellectual development, trying to force a Baby Einstein has its drawbacks. Here, Momstrology’s Maysan weighs in on “kid” books that might not have been created with kids in mind. Adam Mansbach’s Go the F*ck to Sleep is the most popular example of a children’s book that does not belong on your kid’s shelf (though it may have its guilty-pleasure place on yours). 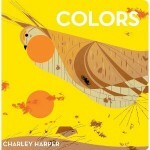 Now, there are new picture books that are harder to categorize, the kind that stylish friends-without-children will purchase for you. Publisher Gibbs & Smith introduced a series of board books called Baby Lit. Described by the company as “a fashionable way to introduce your toddler to the world of classical literature,” the books have a winning premise, and they’re certainly interesting-looking with gorgeous color combinations. But for kids, they ain’t. While there is no vulgarity or adult jokes, the wit and style seem to be intended more for a not-child-friendly coffee table (the kind you probably have in storage) rather than a playroom. Being a fair-minded Libra mother, I put Baby Lit to the test with my family. 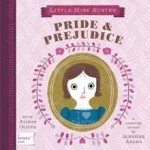 Of the four Gibbs & Smith titles, only the Pride & Prejudice successfully held my kid’s interest, and it was the most easy to connect with passages from the original. The other three (Alice in Wonderland, Jane Eyre, and Romeo and Juliet) are more abstract, though gorgeous, and would be great fun for high school or college literature students to sort out the allusions to the works that inspired them. 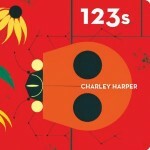 AMMO Books has a range of remarkably beautiful board books and games for children; my favorite are the ones celebrating the work of the late, great Charley Harper (a creative and colorful Leo). These bridge the gap between beautiful art books, the kind that you used to have in your fabulous entertaining-and-traveling life (whether real or imagined). 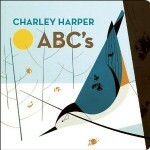 The patterns and animal images are intriguing to children, and can hold the interest of grown-up playdate friends.